The 69 interesting facts about Egypt 2009 includes trading, bilateral cooperation, technology, etc..
1. The World Bank named Egypt 2008's top economic reformer in the Middle East for the third year in a row. * In its Doing Business 2009 report, the World Bank named Egypt the top reformer in the Middle East and one of the 10 top global reformers. * Egypt was noted for its reforms in the business start-up arena, which include streamlining the construction permit and property registration processes, protecting investors and accessing credit. * 2008 was the third year in a row that Egypt was named the top reformer in the Middle East. 2. Egypt is the world's sixth largest exporter of liquefied natural gas. * Current reserves of gas in Egypt are expected to last for the next 35 years. * The Egyptian government is fostering new oil and gas discoveries, selling licenses for exploration in the 12 areas in the Red Sea, Gulf of Suez and the Eastern and Western deserts. 3. Egypt's economy is expected to grow four percent in 2009, in the midst of the global recession. * Growth has been broad-based across manufacturing, the hydrocarbon sector, construction, services, tourism and agriculture, with the main drivers being private consumption and investment supported by relatively large inflows of Foreign Direct Investment. * At least 11 major state-owned companies across various sectors have been privatized since 2004. * In 2005, the Egyptian government cut corporate tax rates in half, from 40 percent of profits to 20 percent. Personal tax rates were reduced at the same time, moving from a flat rate to a progressive system. * Unemployment in Egypt has fallen from 11.8 percent in 2005 to 8.6 percent in 2008. 4. Egypt has contributed 2,500 soldiers to the UN Mission in Darfur. * In June, Egypt sent 40 doctors to the western Sudan region to fill the gap which was the result of the expulsion of 13 aid groups working there. * Egypt has a field hospital in Al-Fasher in Northern Darfur and has proposed to build another. * Egypt's efforts to bring different Sudanese parties to the negotiating table to reach a comprehensive and durable solution to the Darfur crisis contributed in achieving the Darfur Peace Agreement. * Egypt hosted a fresh round of mediation talks between the United Nations and the African Union on Darfur in December 2007 in Sharm el-Sheikh. 5. Cairo is home to Africa's only subway. * The first trains started running nearly 20 years ago, and the system has been gradually expanded. Today, the two subway lines carry 2.5 to three million people every day. * The system now has 53 stations and over 65 kilometers of track. 6. Egypt plans to derive 20 percent of its electricity from renewable sources by 2020. * More than half of Egypt's projected renewable energy supply in 2020 would come from wind energy, with significant investments in solar and hydroelectric power. * A new $30 million center of renewable energy has opened in Nasser City, providing expertise to businesses and governments throughout the Middle East and North Africa. 7. The Egyptian Field Hospital at Bagram in Afghanistan treats more than 7,200 Afghan patients every month. * Egypt has been supporting operations in Afghanistan by treating more than 7,200 Afghan patients every month at the Egyptian Field Hospital at Bagram Air Field. * Egypt's Army and Air Force deploy members to the hospital every six months to treat patients. * Children make up 31 percent of the hospital's patients, all of whom are treated for free. 8. The Aswan High Dam generates enough electricity in one year to power one million televisions for 20 years. * Built in the early 20th century, the Aswan High Dam controls the Nile River's flooding cycles, allowing permanent settlements to be built in the Nile Valley and tripling the number of crops farmers can harvest. * Today, the Aswan High Dam provides Egypt with 15 percent of its energy supply every year. 9. In 2002, Egypt unveiled the New Bibliotheca Alexandrina near the spot where Alexandria's ancient library stood. * Located on the site of the historic eastern harbor of Alexandria, almost exactly where the old library and the royal palace of the Ptolemies once stood, the complex comprises three main elements: the pre-existing conference center, the planetarium and the new building. * The New Bibliotheca Alexandrina is dedicated to recapture the spirit of openness and scholarship of the original Bibliotheca Alexandrina. * The New Bibliotheca Alexandrina and the Library of Congress worked together to develop a world digital library. 10. Egypt has produced four Nobel laureates, awarded prizes for peace, chemistry and literature. * Former Egyptian President Anwar Sadat was the country's first Nobel laureate, after being awarded the Nobel Prize for Peace for his landmark peace agreement between Egypt and Israel at Camp David in 1978. * Egyptian novelist Naguib Mahfouz became the only Arabic-language writer to win the Nobel Prize in Literature in 1988. * CalTech Professor Ahmed H. Zewail, won the Nobel Prize for Chemistry in 1999 for how atoms in a molecule move during a chemical reaction. * Mohamed El-Baradei, Director General of the International Atomic Energy Agency, was awarded the Nobel Peace Prize in 2005 for his efforts to promote, safe, peaceful use of nuclear energy. 11. Egypt contributes about 15% of the entire African Union budget. * Egypt is one of five African Union member countries who have pledged to pay the maximum member rate of 15 percent of the entire AU budget. * At the suggestion of Egypt, the twelfth African Union summit in Addis Ababa focused on the topic of infrastructure and development. Source: AU 12th Summit Executive Council Decisions and Declarations; Southern African Regional Poverty Network. 12. Over 500 free press newspapers, journals and magazines are available in Egypt. * Over half of Egypt's newspapers are privately owned, including 17 newspapers published by churches and Christian groups. * Opposition parties may form their own newspapers, and in recent years the Shura Council has granted licenses to the Ghad and Karama parties to publish weekly newspapers. 13. Through an agreement with Egypt, Iraq will export its gas to Europe through the Arab Gas Pipeline by 2010. * The Arab Gas Pipeline exports Egyptian natural gas to the Middle East with planned expansions into Europe. When completed, it will have a total length of 1,200 kilometres (750 mi) at a cost of US$1.2 billion. * The agreement regarding Iraq, was signed in 2004 by the governments of Egypt, Jordan, Syria and Lebanon. Source: The Arab Fund for Economic and Social Development. 14. Goods manufactured in Egypt with Israeli materials enter the U.S. duty free. * Egypt has 20 Qualifying Industrial Zones; free trade areas where goods manufactured with a designated percentage of Israeli materials can enter the U.S. without tariff or quota restrictions. * Egypt is one of only two Middle Eastern countries to have set up QIZs. * The number of QIZs in Egypt has doubled in the past four years. * The U.S. - Egypt Plan for a Strategic Partnership, signed in 2009, will expand the QIZ program. 15. The largest U.S. military training exercises on foreign soil take place in Egypt. * Operation Bright Star is a joint military training exercise, between the U.S., Egypt and a number of other countries, conducted at Cairo West Air Base every two years. * The next Bright Star Exercise will be held in the fall of 2009. The goal of the project is to strengthen bonds between the countries’ militaries and better maintain regional stability. 16. Egypt is home to 30 percent of the Arab world's bloggers. * Egypt has an estimated 162,000 bloggers, most of whom are between the ages of 20 and 30. * Egypt’s Ministry of Communications and Information Technology launched the Free Internet Initiative in 2002 offering free internet services to all users across the country. * Thanks in large part to government efforts to promote internet use, the number of Egyptians with access to the internet has more than quadrupled over the past several years, and an estimated 10 percent of the population used the internet in 2007. 17. Egypt has the largest and oldest Christian community in the Middle East. * The Coptic Orthodox Church was founded in Alexandria by the apostle Mark in AD 57, making it one of the oldest churches in the world. * A law requiring Presidential approval for church construction was changed in 2005, transferring that duty instead to the country’s governors who are obligated to process churches’ requests within 30 days. * In 2003, President Mubarak declared Coptic Christmas, celebrated on January 7, a national holiday. 18. More than half of secondary students in Egypt are female. * There are now more girls than boys in secondary education. * The gap in primary education is almost completely bridged, and is on track to be eliminated by 2014. * The literacy rate for female youths rose from 67 percent in 1990 to 81 percent in 2005, and is expected to be more than 95 percent in 2015. 19. Egypt ranked first in North Africa and second in Africa in securing foreign direct investment. * Foreign direct investment (FDI) saw a 26-fold increase from $500 million in 2000/01 to $13.2 billion in 2007/08. * As a percent of GDP, net FDI increased less than 1 percent in fiscal year 2000/01 to more than 8 percent in fiscal year 2007/08. * In its bid to attract more FDI, Egypt became the first Arab country to sign the Organisation for Economic Co-operation and Development Declaration on International Investment and Multinational Enterprises in 2007. 20. Egypt was one of the top ten best performing countries in the most recent Global Hunger Index. * The Global Hunger Index (GHI), which calculates worldwide hunger and malnutrition rates, estimates that between 1990 and 2008, Egypt’s GHI vulnerability decreased by more than 50 percent, despite rising food prices in the country. * Only six out of 70 countries included in the study have achieved this feat. 21. The United States is Egypt’s largest trading partner. * In Fiscal Year 2008, bilateral trade between Egypt and the U.S. was close to $7 billion, more than 350 percent higher than its 2004 levels. * Egypt is the fourth largest export market for the U.S. in the Middle East and North Africa, representing nearly 9 percent of its exports to the region. * In May 2009, the U.S. and Egypt signed a plan for a strategic partnership, which aims to further promote economic cooperation between the two countries. * Since 2002/03, private U.S. direct investment has increased from $277.5 million to more than $6 billion in 2007/08, a 23-fold increase. 22. Egypt and Google are working together to increase the amount of Arabic content online. * The three year, $10 million agreement seeks to promote Egyptian industries worldwide via Google's advertising platforms on the web. * In November 2009, Egypt will host the international Internet Governance Forum (IGF), an international forum for multi-stakeholder policy dialogue concerning the development of the internet. 23. Egypt’s government has made deregulation and development of its telecommunications sector a priority. * The Ministry of Communication and Information Technology’s sector development policy was translated into a comprehensive unified law, the Telecommunication Act, which was ratified by parliament in 2003. The policy seeks to increase the competitiveness of the Egyptian telecommunications market by fostering competition for business growth and establishing an institutional framework with an independent regulatory function. * Currently, revenue from Egypt’s Information and Communications Technology (ICT) sector is growing at 15 percent annually, reaching nearly $1.9 billion last year. * Nearly 3,000 ICT companies were operating in Egypt at the end of 2008, an increase of 25 percent from the previous year. * In the fourth quarter of 2008, the ICT sector contributed to 4 percent of national GDP, up from 3.5 percent in the fourth quarter of 2007. 24. Egypt’s Free Internet Initiative provides all Egyptians with free access to the internet. * In an effort to make technology more affordable, Egypt's Ministry of Communications and Information Technology (MCIT) launched the Free Internet Initiative in 2002, which provides free dial-up access to the internet for all Egyptians in partnership with private ISPs. * Similarly, the PC For Every Home initiative — launched by MCIT and implemented by Telecom Egypt and 17 private sector computer manufacturers — offers affordable, internet-enabled family computer installments, with no collateral and no deposit required. To take advantage of this, families only require a fixed telephone line. The initiative will also help the growth of the local assembly industry. So far, more than 44,000 computers were purchased through the initiative. * The number of internet users in Egypt increased from 8 million in 2004 to more than 12.5 million to 2008. 25. Egypt was the first Arab state to sign a historic peace treaty with Israel. * The Camp David Accords, held under the leadership of Egyptian President Anwar El Sadat and U.S. President Jimmy Carter, led to the Egypt-Israel peace treaty, signed in early 1979. * President Sadat’s historic visit to Jerusalem in 1977, as well as his speech in front of the Israeli Knesset, paved the way for the successful peace process between Egypt and Israel. * Since the establishment of peace between Israel and Egypt, the two countries have developed trade relations in a number of realms, including textiles, machinery, chemicals, vegetables and cotton, with bilateral trade reaching over $114 million in 2008. 26. Cairo, Dallas and New York are sister cities. * Egypt’s capital, Cairo, is Africa’s and the Arab world’s largest cosmopolitan city. * Cairo, with a population of 16 million people, is the 11th largest urban area in the world. * The city of Cairo was founded in 968 A.D.
27. Tourism in Egypt more than doubled between 2001 and 2008. * Tourism earnings grew from $4.3 billion in 2000/2001 to $10.8 billion in 2007/2008. * The number of tourists visiting Egypt rose from 5.5 million in 2000 to 12.8 million in 2008. * Egypt was rated the No. 1 price-competitive travel and tourism destination by the World Economic Forum in 2009. 28. Egypt’s capital financial markets are becoming increasingly competitive. * The Egyptian Exchange experienced impressive growth in recent years. Its annual value of trades grew from $7.8 billion in 2004 to $67 billion in 2007. * In 2007 and 2008, the Egyptian legislature introduced the Nile Stock Exchange, creating capital-raising opportunities for small and medium-sized businesses. * At the same time, the existing Egyptian Stock Exchange saw the introduction of intraday trading. 29. Egypt is the largest rice producer in the Middle East and North Africa. * Egypt produces approximately 4.6 million tons of medium and short-grain rice a year. * Rice is Egypt’s second most important export crop, after cotton. * Egypt exported a record 1.2 million tons of rice to the United States in 2007. 30. One quarter of all Arabs worldwide live in Egypt. * The UN estimates that there are approximately 337 million Arabs worldwide. * Egypt is the most populous Arab nation with 76.8 million residents; this is approximately double the population of Sudan, the second most populous Arab nation. 31. Egypt is the center of movie and television production in the Arab world. * Of the more than 4,000 short and feature-length films made in Arabic speaking countries since 1908, more than three-quarters were Egyptian. The number of feature-length films produced in Egypt more than doubled from 1997 to 2007. * The Cairo International Film Festival was established in 1976 and has become one of the top festivals worldwide. It includes films from more than 50 countries in Africa, the Arab world and other parts of the world. * In 2008, the Cairo International Film Festival celebrated the 60th anniversary of the Universal Declaration of Human Rights with a section devoted to films about human rights. 32. Egypt boasts a highly skilled workforce, with 265,000 university graduates each year. * There were 176,400 employees in the Information and Communication Technology sector in Q1 2009, representing a year-over-year increase of more than 12,700 employees and an annual growth rate of almost 8 percent. * Of the 16,000 students who graduate from Egyptian technical universities every year, more than a third speak two or three languages. * In 2006, the Egyptian Education Initiative (EEI) was launched as a public-private partnership between the Egyptian government and the World Economic Forum in order to utilize IT as a driver for economic and innovative development in education. Since its launch, 70,000 PCs have been deployed and more than 200,000 training sessions have been delivered through the EEI. 33. 20 percent of all Egyptian firms are owned by women. * Overall, women’s share of the labor force has risen dramatically from 9.5 percent in 1981 to 22.4 percent in 2008. * In 2008, women made up 31 percent of government employees. * Participation of women in managerial and decision-making positions in the civil service has increased from 23.7 percent in 2001 to 26.3 percent in 2008. 34. More than 30 of Africa’s Top 200 companies are based in Egypt. * According to African Business magazine, 33 of Africa’s top 200 companies are located in Egypt. * Six Egyptian companies on the African Business list rank within the top 50 on the continent. * The highest ranking Egyptian companies are in the telecommunications sector. 35. Establishing a new business in Egypt takes just 7 days. * Egypt’s recent growth-oriented economic reforms have shortened the process of starting a new business. By comparison, it takes 11 days to start a business in neighboring Tunisia, 12 in Morocco and 34 in Kuwait. * Other areas of reform include streamlining construction permit procedures, easier property registration, easier access to credit, protecting investors and increased trading across borders. * Egypt has been among the top 10 global business reformers three times in the past four years, and was ranked as the top regional reformer for the year 2008 by the World Bank’s Doing Business report. 36. Egypt is working to protect coral reefs in the Red Sea. * Government scientists in Egypt are working to protect the spectacular coral reefs in the Red Sea by raising public awareness and establishing marine and terrestrial protected areas. * Red Sea Rangers, trained by the Egyptian Environmental Affairs Agency, patrol a substantial portion of the coral reefs. * The Egyptian Tourism Development Authority is developing ecotourism and eco-lodging centers to accommodate the hundreds of thousands of tourists who visit Egypt’s coral reefs every year. * The Red Sea reefs have hundreds of hard and soft coral species, marine mammals, reptiles, mangroves and species of fish. 37. Egypt was the first Arab country to have its own satellite. * Nilesat 101, a geosynchronous communications satellite and the first satellite to be owned by an Arab country, was launched by an Ariane 4 rocket from Kourou, French Guyana on April 28, 1998. * Nilesats 102 and 103 were launched in 2000 and 2005, respectively, and Nilesat 201 is planned to launch in 2010. * The Nilesat Company now broadcasts more than 450 digital TV channels, including English speaking channels such as BBC World News, CNN International, Bloomberg TV and the Discovery Channel. 38. Egypt is home to the oldest American Chamber of Commerce in the Middle East. * AmCham Egypt was founded in 1982 as the 44th American Chamber of Commerce to be established abroad and the first in the Middle East. * Today it is one of the largest and most active overseas affiliates of the U.S. Chamber of Commerce, and has successfully helped in enhancing economic and investment ties between the United States and Egypt. * The AmCham serves as a forum for which American business executives in Egypt and Egyptian business executives with American interests may identify, discuss, and pursue common interests regarding their activities. * U.S.-Egyptian commercial and trade relations are on the rise, with bilateral trade reaching $8.4 billion in 2008, up from $6.3 billion in 2006 – a 33 percent increase. 39. Apache Corporation is the largest U.S. investor in Egypt. * Houston-based Apache Corporation, a large independent oil and gas exploration and production company, is now the largest American investor in Egypt, with total investments of $5.6 billion (as of December 2008). * Apache, with operations concentrated in the Western Desert, produces 14 percent of Egypt's total oil and gas output, generating net revenues of $7 million a day for Egypt. The firm's natural gas discoveries have played a significant role in helping Egypt fuel much of its thermal power generation with natural gas, rather than oil. * During 2009, Egypt contributed 30 percent of Apache’s production revenue, 26 percent of total production and 13 percent of total estimated proved reserves. Apache also has an active drilling program in Egypt with 164 wells. * Other top U.S. investors include American Standard, Bristol-Myers Squibb, Coca-Cola, Colgate-Palmolive, ExxonMobil, General Motors, Gillette, Johnson & Johnson, Microsoft, PepsiCola, Pfizer, P&G and Xerox. 40. Egypt is working to promote cleaner air and produce alternative energy. * The Government of Egypt and the U.S. started the $60 million Cairo Air Improvement Project in 1997 in an effort to reduce emissions and develop alternative energy technologies. * As part of this initiative, 36 air quality monitoring stations were built throughout Cairo with a computerized air pollution early warning system for the city. * Egypt has a program for vehicle emissions testing and certification. In 1999, it established the first emissions testing station of its kind in Africa. * Recently, more efficient natural gas has replaced diesel fuel in forty-four Cairo city buses. Source: Environment and Antiquities. USAID Egypt. 41. GM Egypt is one of General Motors’ most profitable subsidiaries. * In its nearly 30 years in operation, Egypt has grown to be the largest auto production hub for GM in the Middle East Africa region and has even overtaken South Africa on the African continent. * GM Egypt increased its market share from 17.5 percent to 26 percent in the last two years. * GM Egypt is a classic example of a beneficiary of GM's global sourcing of components; in return, GM Egypt is a critical component of GM's recovery, churning out high profits for its parent company. * The company is actively exploring opportunities of exports from Egypt to take advantage of Egypt’s trade pacts with other African and Arab countries. 42. The Egyptian economy beat estimates and grew 5.1 percent in 2009-10. * The Egyptian economy grew 5.1 percent in 2009-10, beating forecasts by international economists and the International Monetary Fund. * In 2009, Egypt was named by the World Bank as one of the top ten economic reformers for the fourth year in a row. * The communication and information technology industry expanded 12.8 percent, construction grew 11.5 percent and the hotel and restaurant sector grew 13.1 percent. * Egypt is weathering the global financial crisis, containing the impact through measures that build on a period of deregulation and additional fiscal spending. In 2009, the government approved a $2.7 billion (15 billion Egyptian pounds) package to help stimulate the economy. 43. More American students study in Egypt than in any other Arabic-speaking country. * In the 2007-2008 academic year, the number of American students studying in Egypt reached a record high of 1,100. * During the same year, the Egyptian students studying in the United States numbered more than 1,700. * A number of American higher education institutions participate in exchange programs with the American University in Cairo, including American University, Brown University, Cornell University, Duke University, Georgetown University, Northeastern University and Tufts University. * English is the official language of instruction in the American University in Cairo, the faculty of Agriculture at the University of Alexandria and some faculties of Helwan University. 44. Egypt is restoring 11 ancient Jewish synagogues. * In March 2010, restoration work on Cairo's Moses Ben Maimon Synagogue, named after the 12th century rabbi and intellectual Maimonides, was completed. * The synagogue was declared an antiquity in 1986 due to its historic architecture and religious importance. * Jewish cemeteries in Egypt have also been added to the Supreme Council of Antiquities’ list of protected sites; a tomb was recently discovered with walls inscribed with a text revealing important details about the daily life, economic and social realities of Egypt's Jewish community at the beginning of the Islamic era in 630 AD. * In all, Egypt will pay for the restoration of the country's 11 historic synagogues. 45. There are 21 national parks in Egypt. * Egypt’s national parks cover a variety of geographic terrains and protect ancient quarries, endangered animals and sulfur springs. * The Egyptian government established the Ras Muhammad National Park in 1983, off the southern portion of the Sinai Peninsula, to protect coral reefs as well as marine and terrestrial wildlife. * The Wadi El Rayan protected area boasts an upper and lower lake connected by a waterfall, sulfur springs and dune formations. The area is home to the endangered slender-horned gazlle. * A “mist oasis” exists at the top of Mount Elba, in the vast Elba Protected Area. This rare wet ecosystem is home to extensive vegetation and forty species of birds, including the endangered Dugong. 46. The Egyptian mobile phone market adds an average of one million new subscribers every month. * By the end of 2007, the total number of Egyptian mobile subscribers reached 30 million. * As of November 2009, there were 53.6 million mobile telephone subscribers in Egypt. * Egypt was one of the first countries in Africa to launch third generation (3G) Mobile Services in 2007. 47. The National Council for Childhood & Motherhood was established as a government authority to oversee child development and protection. * Since its establishment in 1988, the NCCM has been entrusted with policymaking, planning, coordinating, monitoring and evaluation of activities in the areas of protection and child development. * In December 2007, NCCM established the Trafficking in Children Unit to combat and prevent trafficking. - Setting development orientations for the national plan pertaining to childhood and motherhood in the fields of society, family health, education and culture. - Evaluating the implementation of public policy and the national plan for childhood and motherhood. - Compiling information and statistics related to childhood and motherhood. 48. Egypt hosted the Fourth Internet Governance Forum in Sharm el-Sheikh in November 2009. * The Internet Governance Forum is the outcome of the World Summit on the Information Society-Tunisia stage- for a new stage of a multi-party cooperation. The IGF servers as an opportunity to bridge the gap between the different parties and get developing nations engaged in the current debate on the internet. - New developments in the digital world, including social networks and their impact on the internet. * Egypt has seen an exponential growth of 2,693 per cent in Internet usage between 2000 and 2009. Today, over 13 million Egyptians enjoy uncensored and free access to the internet. 49. EgyptAir is Africa’s largest airline. * EgyptAir is the flag carrier airline of the Arab Republic of Egypt and its main hub is Cairo International Airport. * Though state-owned, EgyptAir is self-financing and does not receive any funding from the Egyptian government. * EgyptAir was established in May 1932, making it one of the oldest carriers in the world and a pioneer airline. * EgyptAir operates scheduled passenger and freight services to more than 70 destinations in the Middle East, Europe, Africa, Asia and the Americas, in addition to an extensive network of domestic services. 50. 5,000 Egyptian small businesses will benefit from $70 million in agriculture project grants. * The African Development Group recently announced $70 million in grants to the Egyptian government to fund agricultural development. * The funding will finance the Egyptian Rural Revenue and Economic Situation Improvement Project, which targets small agricultural farmers and the working poor. * These projects will create over 60,000 jobs in the rural stretches of Egypt. * This funding fits into Egypt’s broader development plan, which calls for the creation of some 750,000 jobs annually through 2012. * The Information and Communication Technology (ICT) sector has maintained a growth rate of about twenty percent over the past three years. * As of December 2009, there were over 3,400 ICT companies in Egypt employing more than 180,000 people. * Egypt incents businesses in the ICT sector by providing tax holidays for software companies, easing export and import regulations, offering training programs, and providing subscription free internet. 52. Egypt’s GDP is expecting strong growth in the next two years. * Egypt’s GDP grew 5.3 percent in the 2009/2010 fiscal year and economists predict it will maintain this growth rate through the next two years. * Besides Qatar, this is a faster growth rate than any other Arab state, and is likely to be faster than Turkey and Israel. * Egypt’s economy was not significantly affected by the global downturn last year as a result of five years of tariff cuts, the sale of many state companies, the liberalization of investment regulations and other reforms initiated by the government. 53. Egypt was the birthplace of the first feminist movement in the Arab world. * The Egyptian Feminist Union, established in 1923, was the first nationwide feminist movement in the Arab world. In 1988, feminist activist Hoda Badran founded the Alliance for Arab Women (AAW), which acts today as an umbrella organization to about 350 NGOs nationwide. * The first female cabinet minister was appointed in 1962. Women have occupied at least one or two portfolios in each cabinet ever since. Currently, three women serve in the cabinet: Minister of Manpower and Immigration Aisha Abdel-Hady Abdel-Ghany, Minister of International Cooperation Fayza Abul Naga and Minister of State for Family and Population Mosheera Mahmoud Khattab. * Tahany el-Gebali became Egypt’s first female judge in 2003, when she was appointed by President Hosni Mubarak to the Constitutional Court, the nation’s highest judiciary body. 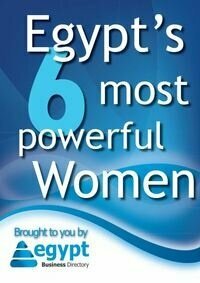 Today, Egypt has 42 female judges. 54. With over two million Egyptians using Facebook, Egypt has the most Facebook users in Africa. * Egypt tops the list of Facebook users in the Arab world and ranks 23rd globally. * The total number of Internet users in Egypt has grown to over 16 million in 2009, up from just 300,000 in 1999. * In 2009, Egypt ranked second in the Arab world in terms of registered Twitter users. * Egyptian blogs account for about 30.7 percent of total blogs in the Arab world. 55. The Smart Village, a leading IT and high tech hub, is part of an initiative to create technology districts all over Egypt. * Spread over 3 million square meters, Smart Village Cairo is Egypt’s premier communication and information technology center, aiming to create an all-encompassing hub of commerce in the region. * By 2014, Smart Village Cairo is expected to host more than 500 multinational and local companies and governmental, financial, and educational institutions. * The Smart Village is a successful model of the “Public-Private Partnership" investment model, with 80 percent owned by the private sector and 20 percent owned by the Ministry of Communications and Information Technology. 56. Egypt’s Educational Initiative has equipped more than 2,000 schools with additional computers. * The Egyptian Education Initiative (EEI) was launched as a public-private partnership between the Government of Egypt and the World Economic Forum’s Information and Communication Technologies (ICT) community as a progressive model for reforming Egypt’s education system. * The EEI aims to increase Egypt’s competitiveness and boost job opportunities by investing in human resources development and creating a future generation armed with knowledge and 21st century skills. * The EEI has trained thousands of school leaders on using ICT in the educational process and has given over a thousand schools access to the Internet. * The government has initiated several other programs to improve education in Egypt, including the Illiteracy Eradication Initiative, which has been shown to increase retention rates and the speed of learning. 57. The “1,000 Villages” initiative aims to develop the 1,000 poorest villages in Egypt. * Launched in 2007, the “1,000 Villages” initiative aims to improve the status of 1,000 villages by improving the infrastructure of basic education, opening classes to combat illiteracy, offering more jobs, and providing ambulance and postal services. * The 1,000 villages were chosen according to a poverty reduction plan drawn up by the Egyptian Ministry of State for Economic Development and the World Bank. * The initiative, which cost more than 700 million dollars in its first phase, has carried out about 1,400 projects so far. 58. Egypt has embarked on an ambitious plan to create a “new” Nile Valley. * The Toshka Project is an ambitious government project to create a second Nile Valley by redirecting 10 percent of the water from Egypt’s portion of the Nile River via a massive irrigation scheme. * The project has a final anticipated cost of around $70 billion and is intended to double the region's arable land, create 2.8 million new jobs and attract over 16 million people to new planned towns. * In March 2005, the Mubarak Pumping Station – the centerpiece of the Toshka Project – was named one of the five most outstanding civil engineering achievements of the year by the American Society of Civil Engineers. 59. Nearly $9 billion will be invested in Egyptian transport projects over the next three years. * More than 100 investors have shown an interest in investing in East Port Said, a 25,000-acre development whose total operating capacity will stand at 11 million containers by 2015. * Egypt will spend $277 million to upgrade the Cairo Ring Road, which will serve 80,000 vehicles per day when completed. * Egypt’s planned infrastructure projects include upgrades to improve safety and efficiency, as well as expansion plans to help de-congest some of the country’s crowded transit routes. 60. Exports of Egyptian cotton increased 52 percent between 2007 and 2008, marking a new record. * Egyptian cotton is known as “white gold” because of the high quality of its fiber. * The Egyptian Cotton Logo, owned and marketed by Cotton Egypt™ and the Egyptian Ministry of Foreign Trade, is now used to distinguish 100 percent Egyptian cotton products from all other cottons. * $254 million worth of Egyptian cotton has been contracted for export through the end of 2010. 61. Alexandria is Egypt's first smoke-free city. * Smoking in government buildings and public spaces in Alexandria has been banned since 2007, but new rules and regulations will more strictly enforce this policy. The ban will soon be extended to cafes. * Despite the popularity of smoking, officials recognize the serious public health risk it imposes and are taking measures to raise public awareness about the dangers of smoking with new ad campaigns. * To further deter Egyptians from smoking, the government has levied a 40 percent tax on cigarettes. 62. Egypt shares its farming expertise with its neighbors in an effort to eliminate African hunger. * Egyptian farmers in the Nile Basin are assisting their counterparts in neighboring African countries by showing them how more efficiently utilize their land and water resources through the use of modern technology, such as irrigation projects. * Egypt is a key player in the African Union’s effort to increase food security on the continent. * Egypt has one of the oldest irrigation systems in the world. It is believed to have been founded as early as 3,100 B.C. and for over 1,500 years supplied water to over 3,000 miles of farmland. * The program’s vision is to achieve comprehensive coverage of basic health services, especially in the areas of motherhood and childhood services, promotion of family planning programs and preventive medicine. * Egypt is one of only four countries on pace to meet Millennium Development Goal 4 by reducing infant mortality rates by 66% between 1990 and 2015. * The Egyptian Health Ministry’s Specialized Medical Council facilitates free medical treatment to qualifying patients. In 2009, the government gave free treatment to 2.2 million poor Egyptians, including kidney failure, cancer, diabetes and high blood pressure patients. 64. Egypt’s GDP is expected to grow 5.5 percent from 2010-2011. * Egypt’s economy is predicted to pick up in 2010 and 2011. A survey of 15 economists suggested that the country’s GDP growth will increase to about 5.5 percent by June 2011. * Egypt’s growth rate is faster than that of any of its neighboring Gulf Arab states, except Qatar. Egypt’s GDP growth is expected to outperform both Turkey and Israel by June 2011. * Egypt’s budget deficit as a percentage of the GDP has decreased in each of the last three fiscal years, from over 9 percent in 2005-2006 to less than 7 percent in 2008-2009. 65. Education is free through university level in Egypt. * With 18 million enrolled students, Egypt has the largest overall education system in the Middle East and North Africa. * The Education Act of 1953 made education free through university and compulsory from ages six to 15. * As part of its campaign against illiteracy, the Egyptian government has established 3,000 schools since 1993 for girls who are unlikely to attend formal schooling. The schools provide vocational training and lessons on building income-generating businesses, in addition to traditional classes in Arabic, science and arithmetic. 66. Egypt’s new museum for antiquities will be built by fall 2012. * Over the next two years, the Grand Museum of Egypt – set on a 120-acre complex with its own fire station, power plant and conservation center – will become home to over 100,000 artifacts. * The museum will house King Tutankhamun's famous mummy and golden burial effects, as well as a replica of his tomb. * The Grand Museum will replace a century-old museum in central Cairo that is only big enough to display half of these priceless artifacts. 67. A system of canals being built in Egypt will create 2.8 million new jobs and increase Egypt’s arable land area by 20 percent. * The New Valley Project (also known as the Toshka Project) will build a new system of canals to carry water from Lake Nasser to irrigate Egypt’s Western Desert. * The Mubarak Pumping Station, pictured above, is the centerpiece of the project. The pumping station draws water out of Lake Nasser and directs it into Sheikh Zayed Canal, which runs from Lake Nasser to the Western Desert. * The New Valley Project will help the country cope with its rapidly growing population by producing more inhabitable land, creating an expected 2.8 million new jobs and attracting over 16 million people to the new towns planned in the region. 68. A new satellite launched in August 2010 will improve Egypt's television broadcast and communications services. * In August 2010, Egyptian satellite TV provider Nilesat launched Nilesat 201, a new satellite that will augment Egypt's current 560 satellite channels by another 500. The platform's broadcast footprint will cover not only Egypt, but the entire Middle East, southern Europe, Sudan and upstream Nile nations as well. * Nilesat 201 offers a "tremendous opportunity to increase the availability of broadcasting and communications services in Egypt," said Egyptian Information Minister Anas al-Fiqi after the launch. * Nilesat 201 is the third telecommunications satellite Nilesat has put into orbit since 1998. 69. An investment by the Egyptian Navy will create 300 new jobs in Mississippi this year. * The Egyptian Navy commissioned Pascagoula, Miss.- based VT Halter Marine to build four fast missile craft (FMC) vessels to be completed between 2012 and 2013. “The FMC is a key program in the relationship between our two countries,” said Halter Marine CEO Bill Skinner. * Egypt’s Chief Navy Commander, Vice Admiral Mohab Mameesh, commemorated the $807 million contract at a keel laying ceremony in April 2010 (pictured above). * In addition to creating jobs, Vice Adm. Mameesh said the building of the new ships will allow Egypt to maintain peace and stability while securing its coasts and the Suez Canal.